Young Gifted and Black: Forbes names 11 black women in their 30 under 30 lists to watch for!! Forbes names 11 black women in their 30 under 30 lists to watch for!! Each year Forbes magazines brings together experts to choose the leading young minds across 15 varied categories. These young men and women are then featured in their 30 Under 30 lists. This year 11 Black women were designated influencers in the realms of entertainment, tech, music, sports, education, law, media, marketing and energy. Check out the work these women are doing! We're already quite familiar with a few of the womn named. 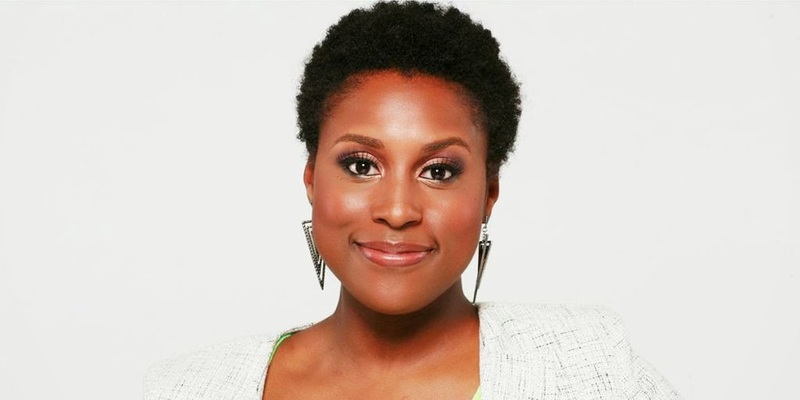 Issa Rae continues to offer up hilarious and insightful webseries. We've seen her act, but she also writes and produces series like "Black Actress." 10-year-old Quvenzhane Wallis has the goods to become America's sweetheart. She'll soon star in the classic hit musical 'Annie' for which she will be paid a handsome $1.5 million fee. Aminatou Sow co-founded a digital list-serv for women who work across the world in tech fields to share their accomplishments. Tech Ladymafia provides women a safe space to discuss their experiences in the male dominated world of digital. Interesting that both Janelle Monae and Rihanna are featured in the category of music. The music superstars represent the multifaceted nature of Black womanhood. Both women are outspoken and rebellious, but their non-traditional inclinations took them down two different paths. Janelle continues to keep us in awe by the way she's upsetting the status quo. In a world that is still extremely hostile to Black lesbian women, Brittney Griner's public embrace is certainly remarkable. The Baylor alum and WNBA star signed a groundbreaking deal with Nike last year, and she didn't have to compromise her identity to do it. 27-year-old Mandela Shumacher-Hodge is the co-founder of a platform to connect teachers across the world in order to enhance their professional development. Mandela is a former Teach for America corps member who used her experience to transform the lives of educators. Amanda Brown serves at the national political director of Rock the Vote. The organization develops digital tools and strategies to get young people to the polls. Lauren Wilson works as policy counsel for Free Press which fights major broadcast mergers, which have been using shared service agreements to evade the FCC's ban on duopolies, and which hurt the journalism industry and ownership by women and people of color. In the age of digital, Uzoamaka Maduka runs a old-fashioned print literary magazine, The American Reader. The Princeton alum initially used funds she'd raised from various donors and benefactors to maintain the outlet. More recent she's partnered with Salon.com. Katrina Craigwell heads the digital marketing efforts of global energy giant GE. She's diversified the companies marketing strategy across social media platforms. Jessica Matthews is the CEO of Uncharted Play. Uncharted Play makes a soccer ball with a built-in battery. A half-hour of soccer can absorb enough kinetic energy to charge the battery enough to power a plugged-in LED light for five hours. The ball could millions around the world who live without electricity and rely on smoky, expensive kerosene lamps for light. Future extensions to her product line include an electric-generating jump rope, skateboard and (American) football.